The tourist industry deals in experiences. Connecting people with those experiences can be an incredibly rewarding career, as you bring destinations to life. Tourism is about showing people the world and capturing their imaginations. In this era of social media, holidays take on new meaning. But tourism doesn’t just mean foreign travel. There’s a wealth of fascinating and beautiful attractions on our doorstep. Manchester is England’s second-largest international city tourist destination. It’s the perfect place to see excellent tourism practices in action. On this course you’ll learn about modern tourism practices from industry leaders. It’s been designed alongside high-profile organisations such as TUI, Association of British Travel Agents (ABTA), Qantas Airways and Visit Manchester. You’ll explore marketing, financial management, human resources, the law and responsible tourism, as well as developing research skills. This well-rounded degree will prepare you for a range of careers – at home and overseas. There are option units from Year 1 giving you incredible flexibility with your studies. Choose subjects that interest you and get specialist knowledge alongside a good grounding in how the tourism industry works and fits into society. In your second year, you’ll have the chance to travel abroad to a tourist destination. You can also choose to learn a language, which could help you access career opportunities overseas. Top ranking – we’re listed in the top 10 in the UK by the Guardian University League Tables 2018. Institute of Travel and Tourism (ITT) Centre of Excellence – we’re recognised by this UK trade body for the quality of our teaching in tourism management and you can join as a student member. Education partner institute of ABTA – gain access to industry experts while you’re studying. This also gives you the chance to apply for ABTA’s annual internship. Immerse yourself in the industry – go on an international field trip, placement or study overseas to experience a global tourist destination first-hand. Study in an international tourist destination – Manchester is England’s second largest international city tourism destination. Study with all its excellent attractions on your doorstep. Tourism experts – our teaching staff have years of experience in the tourism management and will share their knowledge and connections.You’ll also have regular guest lectures from experts working in the industry. Global opportunities – develop the skills you need to work in tourism anywhere in the world. Learn a language to boost your career prospects overseas. “During our second year we went on a field trip to New York, which was amazing. I’ve made friends for life on the course and the whole faculty make the course great.”	 Vikki Cunningham, BA (Hons) Tourism Management. We are recognised as a Centre of Excellence by the Institute of Travel & Tourism. The ITT is the only professional membership body for individuals employed in the travel and tourism industry and is dedicated to promoting high professional standards. We are an ABTA Education Partner University. ABTA Education Partners have access to ABTA’s vast industry resources and expertise, and University Partners have the exclusive opportunity for their students to apply for ABTA’s annual internship. This internship provides an opportunity to get some real, hands-on experience of working on sustainability initiatives at ABTA. We are a certified member of the Association for Tourism in Higher Education, demonstrating a commitment to supporting Tourism within Higher Education in the UK. Leah Caffrey, BA (Hons) Tourism Management. Your tourism management degree can lead to a range of exciting careers, both in the UK and overseas. Help people design their dream holidays, show people incredible attractions, or inspire people to visit a particular place. Your skills will suit roles with airlines, travel companies like AirBnB, tour operators, visitor attractions, resorts and destination marketing organisations. You could also focus on emerging areas such as ecotourism, or explore how to make destinations work for locals as well as tourists. There are excellent opportunities for travel. Spending a year on a placement or studying overseas could help you make valuable international connections. Maybe you’ve got an idea for the next big thing in the travel industry and want to use your skills to set up your own business? We offer dedicated support to start-ups through our incubator, Innospace. Pass Access to HE Diploma in a relevant subject with a minimum 106 UCAS Tariff Points. This course is aimed at students who wish to understand and evaluate tourism in society and develop the skills necessary for a career in tourism in the public or private sector. Tourism at Manchester Met has been accredited by the Institute of Travel and Tourism as a Centre of Excellence. This helps to enhance what we are able to offer you. Throughout the course there is an option to study a modern foreign language as part of the Universitys Uniwide Languages Programme. Year 1 will give you a broad understanding of the tourism industry and how it operates, covering management principles, the international environment and culture and citizenship. 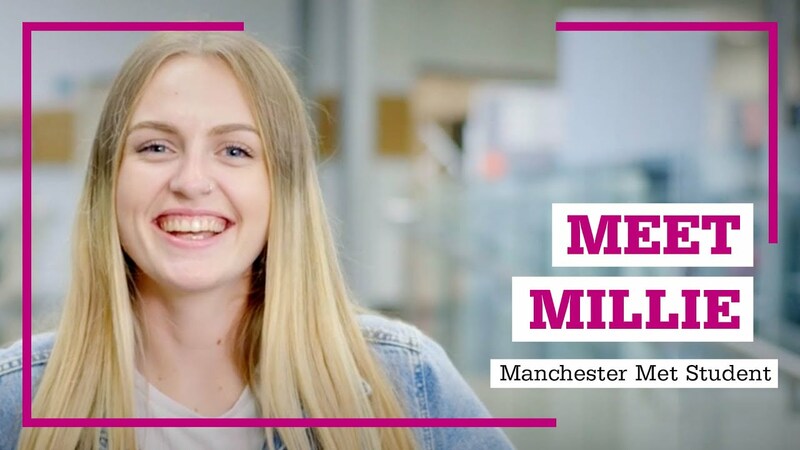 Explore what makes a successful international tourist destination and help to solve a real-world problem for a tourism company in Destination Manchester – England’s second largest city tourism destination and the living-laboratory for your studies. Learn about the key operational management theories and models essential for competitive advantage within the global tourism industry. You will develop marketing skills for tourism, learning how to recognise the importance of marketing as a role and function and apply the marketing mix to illustrate different tourist markets and needs. The business environment is fluid and evolving, and you will learn how political, economic, social, technological and environmental changes influence the tourism sector. Understanding financial management is a vital skill for all managers of profitable tourism companies. Learn how to analyse financial statements, plan budgets and use financial data to inform decision-making. Understanding the customer is the key to success in business. Learn about the consumer behaviour of different types of domestic and international tourists and discover future trends. Learn a modern foreign language, an important skill for success in the tourism sector. In this unit, you will also develop understanding that the customer is the key to success in business. Learn about the consumer behaviour of different types of domestic and international tourists and discover future trends. In Year 2, a management approach is taken and specialist tourism units are supported by studies in organisational management and the tourist experience. If you choose the placement year route, Year 3 of the course will be spent on placement within the tourism industry, gaining great experience to kick start your career. You will study a total of 120 credits. Six core units and two option units. You will also have the option of studying a foreign language with each of these option units. Discover how to appraise and apply research methods – a critical skill for success in your studies and for your future career. Examine the role of tour operators in the tourism supply and distribution chain, and the importance of partnerships with other companies that support the development and delivery of holidays. Tourists’ experiences are designed and managed by businesses and become meaningful when personalised by tourists. Through fieldwork, you will experience and judge the design of real world tourism services. Investigate the regulatory framework that applies to all aspects of tourism business operations to prepare you for a future as a manager. Develop the knowledge of the theories, strategies, policies and practices that underpin the management and development of human resources in the tourism industry. Tourism is a growing industry and it must respond to twenty-first century global sustainability priorities. You will learn about the ways that the industry, destinations and can tourists accept responsibility and take action to make tourism more sustainable. Explore the relationship between the media and tourism, from destination advertising to the power of popular and consumer culture. This unit will identify the variety of job roles within the tourism sector and will enable students to develop their knowledge and understanding of the essential skills required to complete the application process for employment. Develop business enterprise skills, attributes and behaviours, and generate viable ideas for a tourism business or social enterprise. Learn a modern foreign language, an important skill for success in the tourism sector. You will develop the key management skills required to develop creative communications and consider the importance of communications planning within the tourism industry. Examine worldwide tourism distribution channels and learn how to design tourism products, preparing you for a career in Tour Operations. If you choose the placement year route, Year 3 of the course will be spent on placement within the tourism industry, gaining great experience to kick start your career. If you choose not to take a placement year, you will progress directly into your final year of study. Your final year takes a strategic perspective at both the organisational and destination level, incorporating units that focus on tourism policy and development and strategic tourism management. You also have a choice from a range of specialist units. You will study 120 credits. Four core units and two option units. You will also have the option to study a language with any of the above option units. Students will explore the nature of strategy and strategic thinking, as well as the complexity of managing the strategic challenges found within the contemporary international tourism business environment. Investigate how the destination and attraction managers use the latest digital and smart technologies to improve management and enhance tourists’ experiences. Explore the dual nature of locations as places where people live and as destinations that tourists visit. You will analyse the importance of the collaboration of stakeholders in developing, managing and marketing places as tourist destinations. Undertake in-depth, independent research of a tourism subject of your choosing, supported by an experienced research supervisor. This unit is designed for students who have taken a work placement who wish to continue a work based approach to studying management in their final year. The unit covers subjects such as reflective learning techniques, organisational theory, the role of the manager, management styles and managing in different contexts and industry sectors. Maximise your career prospects. Develop the skills required to be industry-ready and to engage successfully with the graduate recruitment process. 'Think global, act local' is the big challenge for you as a future leader of industry. Investigate how global societal concerns are tackled locally and be part of the solution through your innovative client-focused project work. Within the global tourism industry, crisis and risk management is an increasingly important are for consideration. Students will be exposed to the interrelationships and stakeholder roles during a critical incident. Develop entrepreneurial behaviour by exploring, selecting and screening a new business idea in order to present a business plan for a new tourism start-up. You can add a foreign language to your portfolio of skills. Enhance your employability by learning Classical Latin, English (as a foreign language), French, German, Italian, Japanese, Mandarin Chinese, Modern Standard Arabic or Spanish alongside your main degree. Whatever your language knowledge, from beginner to advanced, these classes will take you to the next level of proficiency. If you choose the placement degree route, you will spend Year 3 of your studies on an industry placement. Placement learning is a key element of the course as it allows you to apply university based knowledge, skills and understanding to the real world of work. It also gives you an advantage when you begin looking for your first job upon graduating! The day-to-day demands of such an experience are both challenging and inspirational. Using the experience you gain whilst on placement is not only invaluable to the final year of your degree but greatly enhances your employability prospects. Placement opportunities are available both in the UK and abroad. Amongst others, students currently on placement (2017/18) are working at Walt Disney World Resort USA, Thomas Cook, STA Travel as well as Hilton and Fairmont Hotels. Our dedicated Placement Team has developed excellent links with the hospitality, events and tourism industries over the last 20 years. You will be offered support through a preparation programme of activities that includes guidance on selection procedures, working overseas, CV preparation, interview and selection techniques. During the placement year, although you will be supervised directly by the company you are employed by, you will also be allocated an Academic Tutor. They will provide support and guidance, assess your progress and generally monitor your welfare for the time you are away from the University. Our Marketing, Retail and Tourism Department is one of the UK’s largest providers of education in marketing, digital marketing, advertising and branding, public relations, retail management, place management and tourism management. The department’s mission is to develop its students into highly employable, socially and environmentally responsible professionals, delivering educational and research excellence, through courses accredited by key industry bodies. All of the books required for the course are available from the library. The University also has PC labs and a laptop loan service. However, many students choose to buy some of the core textbooks for the course and/or a laptop. Students may also need to print some of their assignments and other documents. Campus printing costs start from 5p per page. Estimated costs are £300 for a laptop and up to £100 each year for books and printing. You will have the opportunity to take part in an international field trip during your studies. If you wish to participate, you should budget approximately £1,000 to cover the cost of this trip (including flights, accommodation, insurance, resort transfers and spending money). If students do not wish to take the International field trip they can do the research within Manchester. At all levels students are offered the opportunity of local trips/ fieldwork trips to tourism Industries within the North West.